Brendan Reeves heads into this weekend’s Otago Rally with one goal in mind – to take maximum points in the opening round of the New Zealand Rally Championship (NZRC). The Otago Rally, based out of Dunedin on New Zealand’s south island, is one of the southern hemisphere’s most popular rallies and has attracted an entry list of 132 cars for this year’s event. Whilst the rally is open to vehicles of all ages, including the popular Classics, Reeves will contest the NZRC section of the rally for modern vehicles. Reeves and co-driver Rhianon Gelsomino will drive the Lock and Load Transport Stokes Motorsport Ford Fiesta AP4 in the event, and after a positive test last month, are confident of a strong performance. “This year is a big step up for the Stokes Motorsport team after they built the car last year,” Reeves said. In a change to the running order this year, the Classic rally cars will run first on the road, followed by competitors in the Asia Pacific Rally Championship and then the NZRC. All cars will run in reverse order. Whilst Reeves is determined to take the NZRC honours in the opening round, he knows it won’t be an easy task. “The major disadvantage for us this weekend will be the fact that we haven’t competed in the event before,” Reeves commented. “We’ll need to do a really thorough reconnaissance of the stages on Thursday and Friday and then drive a very clean rally. With New Zealand’s former World Rally Championship star Hayden Paddon contesting the Allcomers section of the event, Reeves believes his main competition will come from Ben Hunt who finished second in the 2018 NZRC behind Paddon. “Ben is very quick and will be keen to follow on from his great results last year so I’m expecting a great battle with him,” Reeves added. 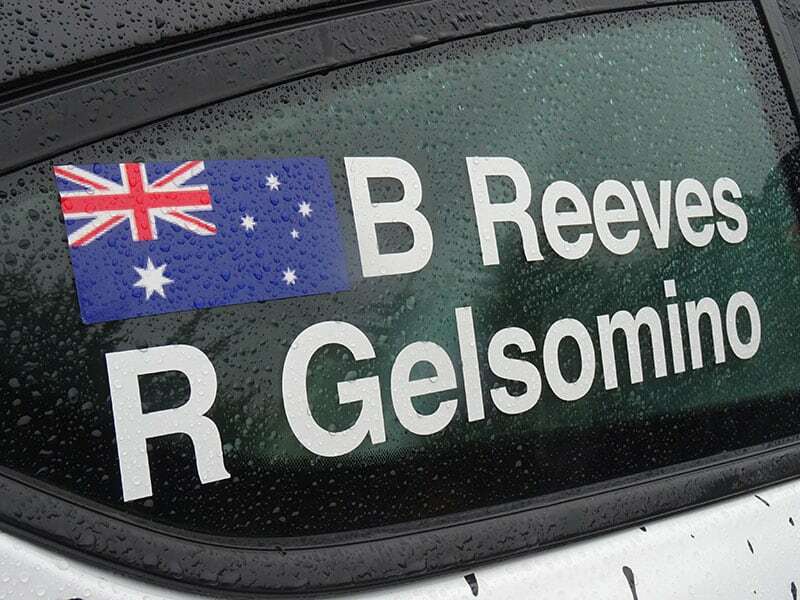 Reeves and Gelsomino will take part in a Media Day on Wednesday and will then spend Thursday and Friday driving the rally stages and writing their pace notes for the event. The rally kicks off on Friday night, April 12, with a ceremonial start at the Octagon in Dunedin, before competitors tackle eight stages on Saturday and a further seven stages on Sunday.